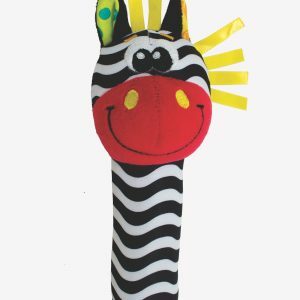 This friendly looking face will have your baby rolling with excitement! 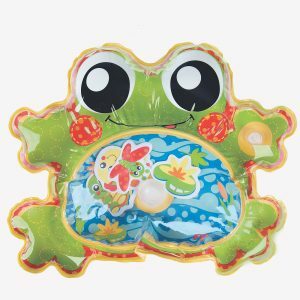 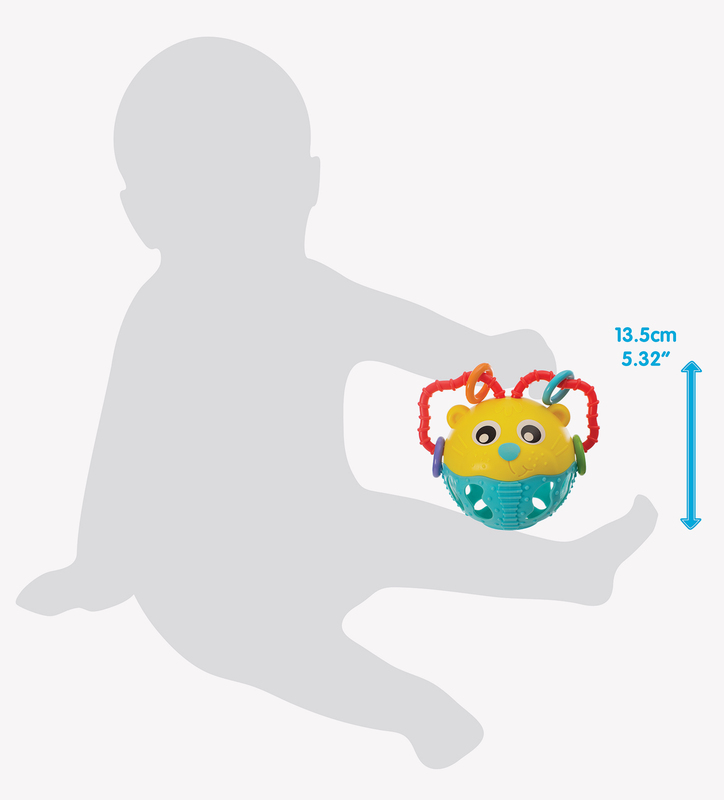 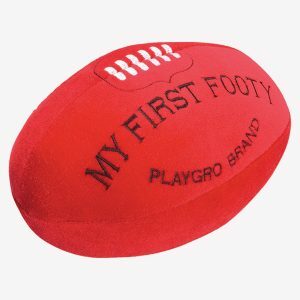 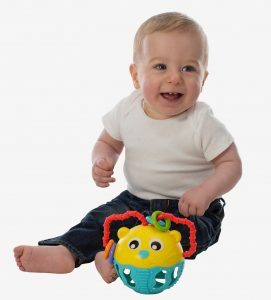 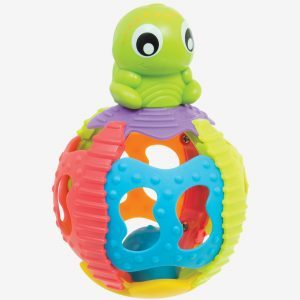 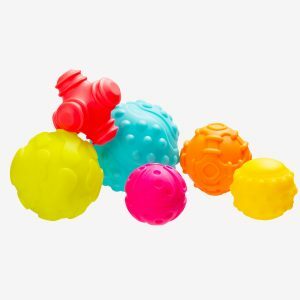 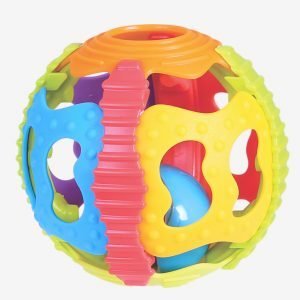 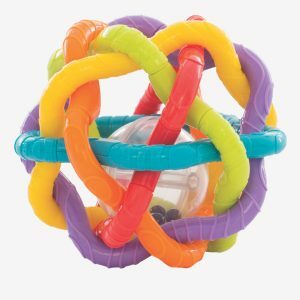 The Roly Poly rattle will have your baby pushing and pulling for gross motor development while entertaining their sensory development with added textured handles that are perfect for little hands. 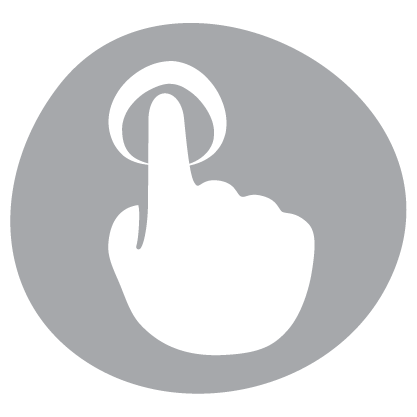 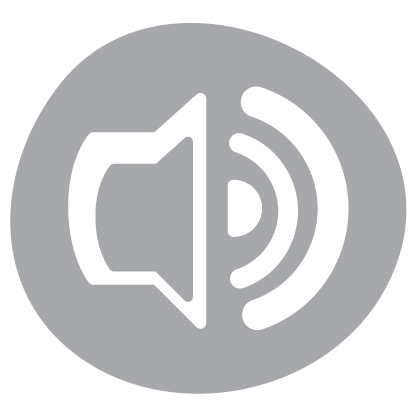 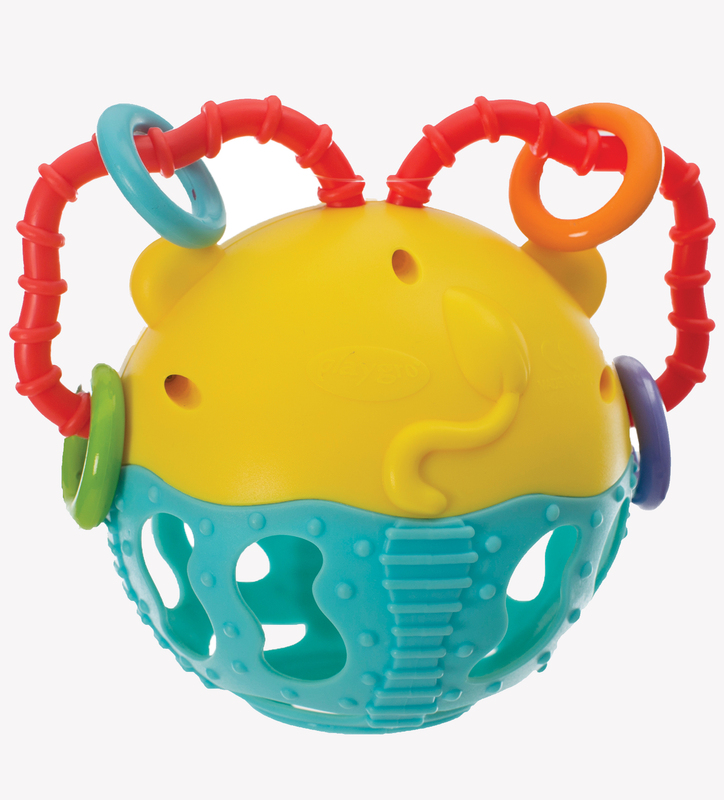 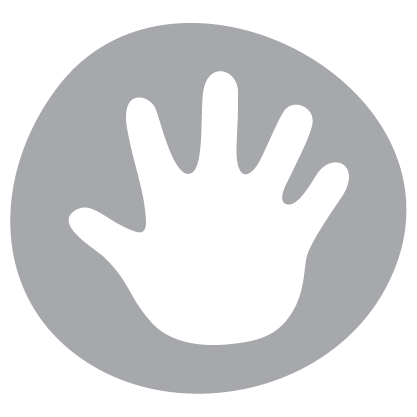 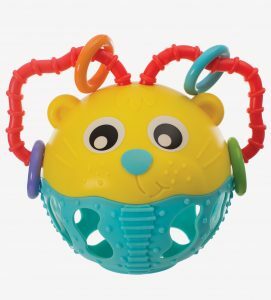 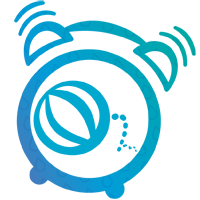 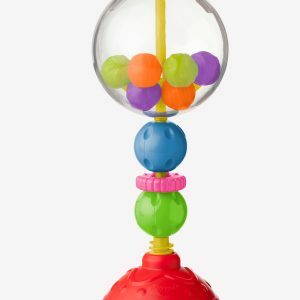 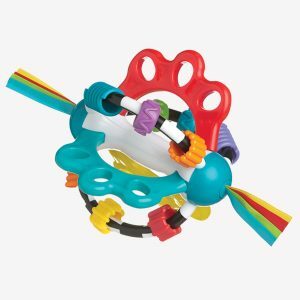 Baby can shake the rattle and watch as the links click-clack together making auditory learning fun!